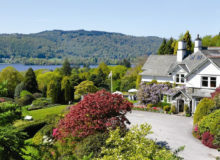 Cuckoo Brow Inn is situated at the top of the hill in between Lake Windermere and Hawkshead Village in Far Sawrey, just a 3/4 mile stroll to the National Trust home of Beatrix Potter, surrounded by beautiful scenery, popular walking and cycling trails and of course the countryside which Beatrix Potter drew her inspiration from. 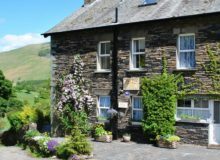 We are a classic, yet contemporary Lake District Inn, which has recently been renovated and lovingly restored to its former glory. 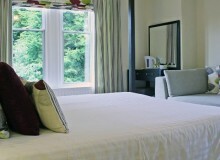 We now have 14 beautiful en-suite bedrooms, which are a selection of superking size, family and twin rooms, all rooms have power showers, 32” flat screen TVs, tea and coffee facilities and everything you would want from Lake District B&B. Food is served all day, 12 noon to 3pm. 5pm until 9pm.